The Best CRM Blog: How to Make Your Sales Team Love Mobile CRM? How to Make Your Sales Team Love Mobile CRM? Know what your salespeople love the most? Generous appraisals and bonuses aside, they value time saving sales applications that make their work life easier and fun. Small, compact with hi-tech computing power, mobiles have redefined instant digital communication. The end result? Efforts are directed towards multiplying sales through mobile CRM applications. Sales people do not enter data in CRM due to lack of time and tedious data entering platforms. Important information, which could have improved the quality of information, for future interactions is lost. Hence, it is important to design and implement mobile CRM applications that focus on specific actions. Accessing and entering information in an ideal CRM solution should not take more than 60 seconds. Susan is in the midst of sales meet with the CIO of a large international bank. For presenting collateral, she whips out her mobile and logs in to her CRM app to demonstrate content rich materials. At the end of the meet, she quickly prepares a summary of the meeting using the mobile CRM app that lands at her supervisor’s (and client’s) mailbox immediately. 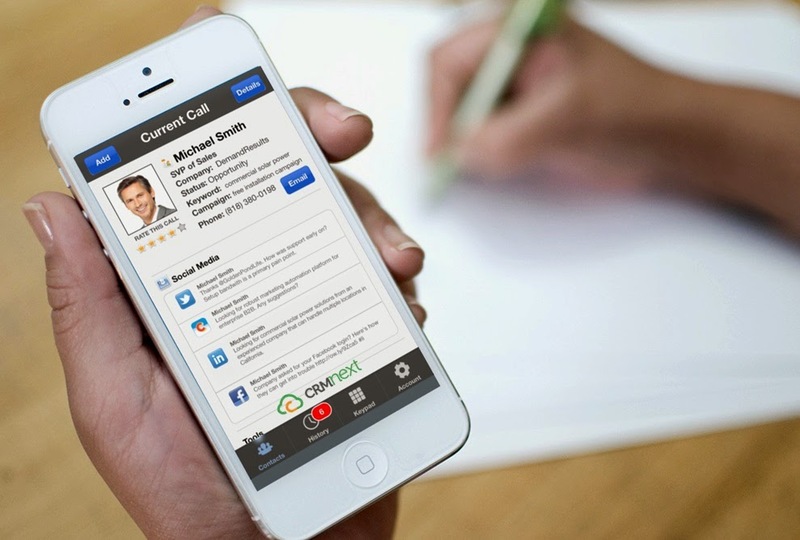 Organizations have attested to the fact that a user friendly CRM app deployed in mobiles has enhanced the image of their salespeople and portrayed them as forward thinkers and problem solvers. Typical SFA apps are designed with system features in mind rather than usability by a salesperson. The small screens of mobiles do not have the real estate to allow salespeople full use of all functionality. You can solve this by introducing quick access list specifically designed for mobile platforms. This list will be created based on the frequently assessed functions and tabs. Users can also have the option of creating tab shortcuts on their home screen. Move aside FlappyBird! Robin’s organization uses an SFA app that is content rich and has numerous tabs. But the small screen size makes it hard for him to access his top sales opportunities and update them, which he needs regularly. Lucky for him, based on usage methods, an update now allows him to create a shortcut for that functionality for prompt access and usage. Hence, it is very important to keep the daily needs of a salespeople at the center to design UI and UX for mobile applications. Mobile sales CRM apps that are task driven improve sales productivity and improve sales cycle. Ideal applications ultimately integrate with an organization’s core Sales force automation (SFA) platform for quick access and synchronization. Healthy battle of numbers between your salespeople is good for team morale and productivity. One great way is to make them aware where they stand against their targets and in peer competition anywhere and anytime. A good mobile CRM app will have easy to access performance analytics. You can even add milestones and push-notifications. Sales reps can become aware how much they have to push themselves to come out a winner! Roger and Steve are members of the sales team in a leading bank. They have a wager as to who will best the quarter numbers. Roger is in the lead and Steve has to close 10 more leads to catch. Detailed information is available instantly to Steve when he logs in to performance reports. As soon as he completes his 9th lead, a push notification edges him on to complete his 10th and surpass the leader-board. Equipping sales people with suitable smartphones will portray your company as a future ready organization. With mobile sales CRM software, you will witness faster sales cycle with all the required information readily accessible. Explore the best sales CRM blog!